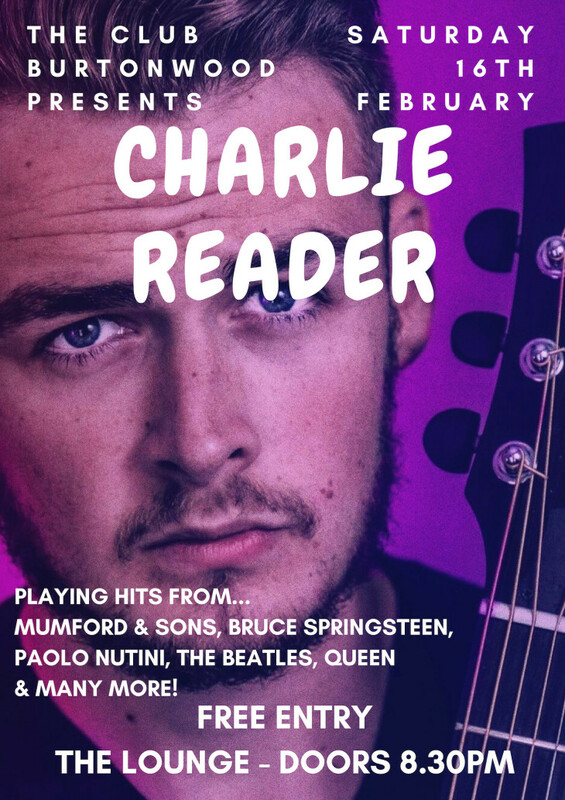 We're delighted to welcome the brilliant Charlie Reader to The Club and our Live In The Lounge series. Performing hits from the likes of Bruce Springsteen, Mumford & Sons, Simon & Garfunkel, Ed Sheeran, Hudson Taylor, White Buffalo, Paolo Nutini, Queen and many more! This amazing musician will deliver a performance to remember, no loops, no pre-recordings, just live, solid, pulsing performances.